In the third installment of Claude's hilarious adventures, Claude and Sir Bobblysock pack their bags and go on vacation to the beach. They rescue a man from a shark, win a sandcastle-bulding competition, and hunt for pirate treasure. Of course, they make it back home just before Mr. and Mrs. Shineyshoes come in from work. 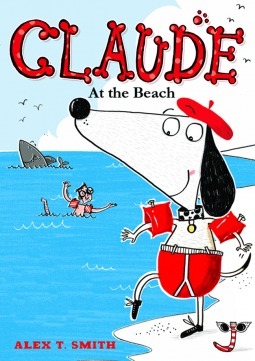 Claude is a dog who to his clueless owners appears to live a rather uneventful life while they are away at work. But unbeknownst to them, Claude has many adventures including visiting a circus, a city, and now, the beach. He takes his good friend, Sir Bobblysock with him to the beach, as well as a suitcase full of things he might need. The book is a lot of silly fun with highly exaggerated illustrations that will undoubtedly induce giggles in younger readers. The only issue I had with the book was the exaggerated female forms in bikinis, but the book was enjoyable. When the sun is shining brightly, people put on sunscreen or scurry inside to cool off. But how do wild animals react to the sizzling heat? Journey from your neighborhood to a field where an earthworm loops its long body into a ball underground, to a desert where a jackrabbit loses heat through its oversized ears, to a wetland where a siren salamander burrows into the mud to stay cool, and to a seashore where a sea star hides in the shade of a seaweed mat. In simple yet informative language, Beneath the Sun shows young readers how the animals who live there survive the hottest time of the year. Melissa Stewart is the author of more than one hundred children's books including When Rain Falls, A Place for Butterflies, and A Place for Birds. She holds degrees from Union College and New York University and has also worked as an editor. She lives in eastern Massachusetts. Constance R. Bergum has illustrated several children's books, including When Rain Falls, Dancing with Katya, Daniel and His Walking Stick, and The Sunsets of Miss Olivia Wiggins. She holds an M.F.A. in illustration from Marywood University and lives in Montana. 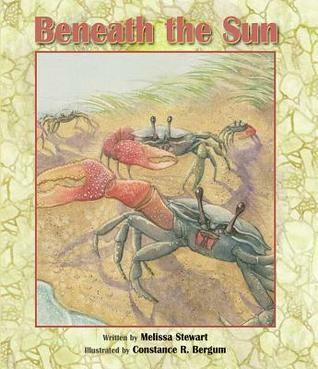 Beneath the Sun is a beautiful introduction to a common problem and how various living creatures deal with it. The heat of the sun is a blessing but can also be dangerous. Stewart reveals to the reader the many ways this problem is addressed. Humans love to run through sprinklers and drink cool drinks like lemonade. Jackrabbits release heat through their ears, horned lizards hide beneath bushes, and frogs use the warmth to develop from tadpole to adult. The illustrations are beautiful and add the perfect touch. I appreciated the focus on one aspect of adaptation since it allows the reader to compare the differences and similarities between the different creatures. I also enjoyed how the story starts with sunrise and moves through various habitats until it reaches sunset, it creates a coherent and understandable story. 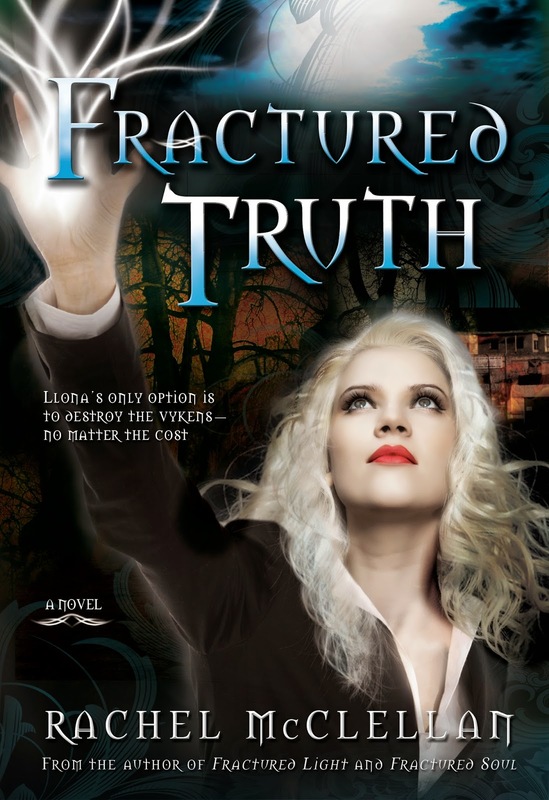 Fractured Truth, the final novel in the paranormal, YA Fractured Light trilogy, was just released! Follow the blog tour to find out more about Fractured Truth and enter below for a chance to a signed copy or a $25 Amazon gift card! Llona is determined to end the fight with the Vykens once and for all. All she needs is to find and destroy the Shadow—the ultimate source of dark power. 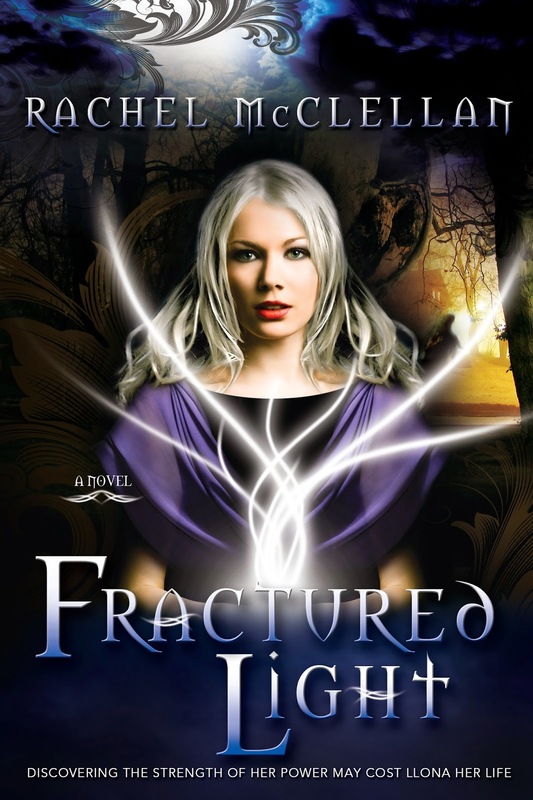 But when she makes a startling discovery about someone she loves, Llona has to fight the toughest battle yet in this exciting conclusion to the Fractured Light series. 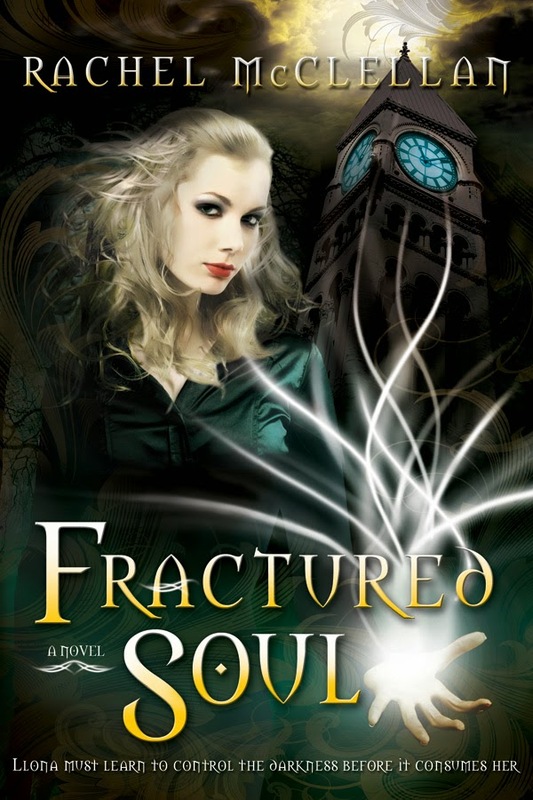 Click the pictures below to find out more about Fractured Light and Fractured Soul, book one and book two. Oh, my goodness! What a ride. Just when I thought I knew where things were going, BAM, McClellan threw in another twist. This is the kind of book that when you are finished reading it you have to stop and take a deep breath to recover from it. The book is quite heart-wrenching in both good and bad ways. I'm not going to say much more than that because I don't want to spoil it for those yet to read it. Just know there are some surprises here, many of them not happy ones. But Llona is tough and she's got some good friends on her side. While I wasn't completely satisfied by the ending, it does fit with the story and everything that has happened. I wouldn't mind finding out more about what happened after that ending though. As far as content, there is quite a bit of violence and a number of deaths, hardly surprising considering the Auras and Vykens are at war with each other. The thing I had a hard time with though was the number of betrayals. That's something I have a hard time reading about and I found quite upsetting, but that's just me I think. In fact that tells you how good the series is, that the characters felt so real that it really upset me to read about the betrayals. An amazing end to an amazing series. Monkeys, monkeys, and more monkeys! 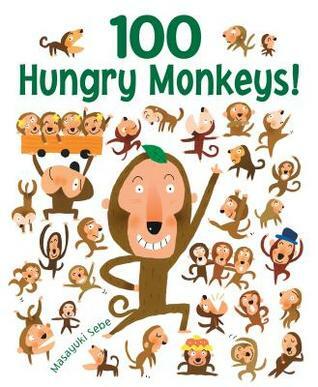 One hundred monkeys are hunting for food in this colorful counting book, but something else -- something big and scary -- is hungry, too! Young readers will find page-turning action on every page -- and more than 100 reasons to take a second look. Seeing as search and find books are quite popular in my library, I'm pretty sure this one will be too. I liked how the book both tells a story and asks the reader to find details in the pictures. Children will enjoy the humor embedded in the illustrations. There is a sweet message in the story about friendship and assumptions which is a nice feature since most search and find books don't have a story at all. Plus monkeys are a naturally funny animal to children. I'm not sure why it is, but monkeys seem to be a naturally funny animal. And that is especially true in this new series from Scholastic. Energetic Clyde reminds me so much of some kids I know that I had to laugh and sigh at the same time. Somehow they are so much more entertaining in books than in the classroom. But regardless, Clyde is basically a good kid with an insane amount of energy that shows itself in lots of fidgeting. Luckily for him, his twin sister, Claudia, is there to help him. But after eating ray-blasted fruit during a field trip, Clyde finds himself turning into a monkey when he gets really excited (which is quite often). This does not of course help him behave at school resulting in some rather hilarious chases through the school. Things come to a head however when he discovers something valuable was stolen from the museum while his class was on their field trip there. Can he help save the day or is he bound to just be a silly monkey forever? 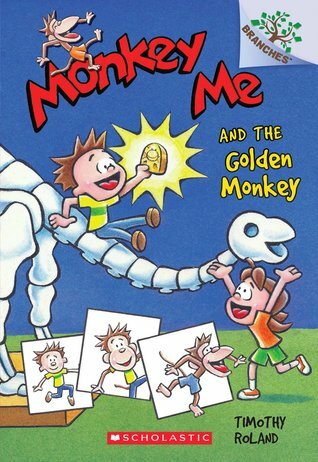 A thoroughly entertaining new series for early chapter book readers, Monkey Me, has lots of illustrations, including the comic book like sections when Clyde turns into a monkey. Sure to be a hit with young readers. Clyde is an energetic student who just can't sit still. When he gets too excited, he transforms into a real monkey! 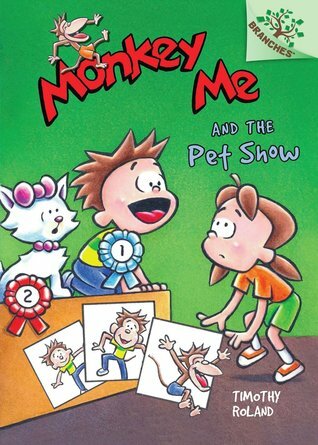 When the class bully challenges Clyde's "monkey me" to the pet talent show, he has no choice but to participate. But when the other pets start to disappear, Clyde uses his inner monkey to save the day. A funny book revolving around a main character who has inadvertently developed the ability to turn into a monkey when he gets excited (which is quite often). When he and his twin sister, Claudia, decide to use him in a pet show to show up the local bully things get complicated when the pets start disappearing, including Clyde himself! The book is great for young readers just starting with chapter books, the short chapters, numerous illustrations (including the comic sections when Clyde turns into a monkey), and the large font all make this a great new series that kids are bound to enjoy. Twig is used to feeling unwanted. Sent to live on a pony ranch for "troubled" girls on a misty, haunted island, Twig is about to discover the impossible — someone who needs her. Now Twig knows what secret is hiding in the island's mist: the last free unicorn herd. And a mysterious boy named Ben who insists that this impossible creature is now Twig's to care for. That she needs Twig's love and protection. Because there's something out there in the deep, dense shadows that's hunting for them..
R.R. Russell lives with her family in the Pacific Northwest. She grew up traveling the world as an army brat and now travels the country as a coach with a non-profit judo club. She loves to read and draw, and like Twig, once spent a lot of time sketching unicorns. Visit her at rrrussellauthor.com. Unicorns! Sigh. A book with lots of unicorns as well as a protagonist who is struggling to find who she is and where she belongs. Twig ends up on Lonehorn Island as a result of an unfortunate incident with her stepsister that everyone thinks she caused. But there seems to be more to the island than first appears. Shortly after arriving, she sees what appears to be a ghost. Can Twig find a home here with so many mysteries as she struggles to deal with her own sense of inadequacy? Being a fan of unicorns I quite enjoyed this well-written story. I appreciated the fact that the story takes place over a whole year as Twig grows and develops along with the baby unicorn. It was also very refreshing to read about a home for troubled girls that really benefited the students. Twig really flourishes in an environment where she is loved unconditionally, given responsibility, and shown that she has much to offer. The setting was well-presented and I wanted very much to visit the place (during the day of course), especially to see the unicorns. Russell's unicorn mythology I thought was well-developed and explained. 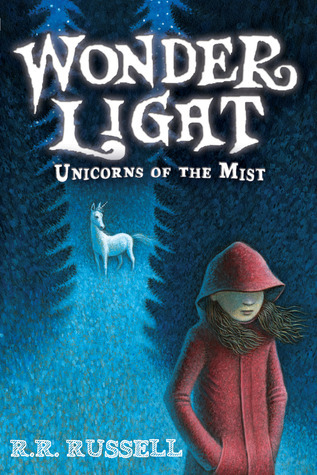 Truly an enjoyable read for those readers who love unicorns and stories of growing into one's own skin. 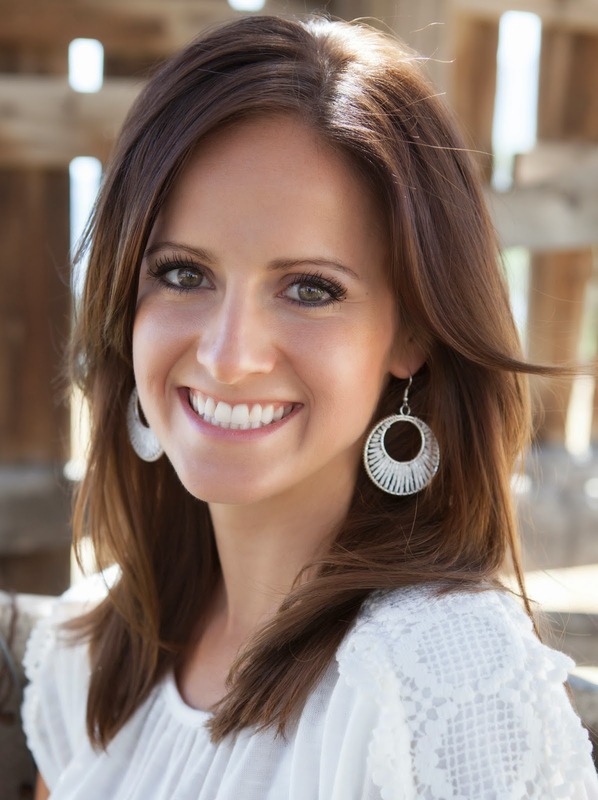 Laura Johnston lives in sunny Arizona with her husband and two children. Growing up in Orem, Utah with five siblings, a few horses, peach trees, beehives and gardens, she developed an active imagination and always loved a good story. Laura enjoys running, playing tennis, sewing, dancing (deduced to dancing around the kitchen while cooking dinner these days), traveling, writing, writing and more writing, and above all, spending time with her husband and kids. 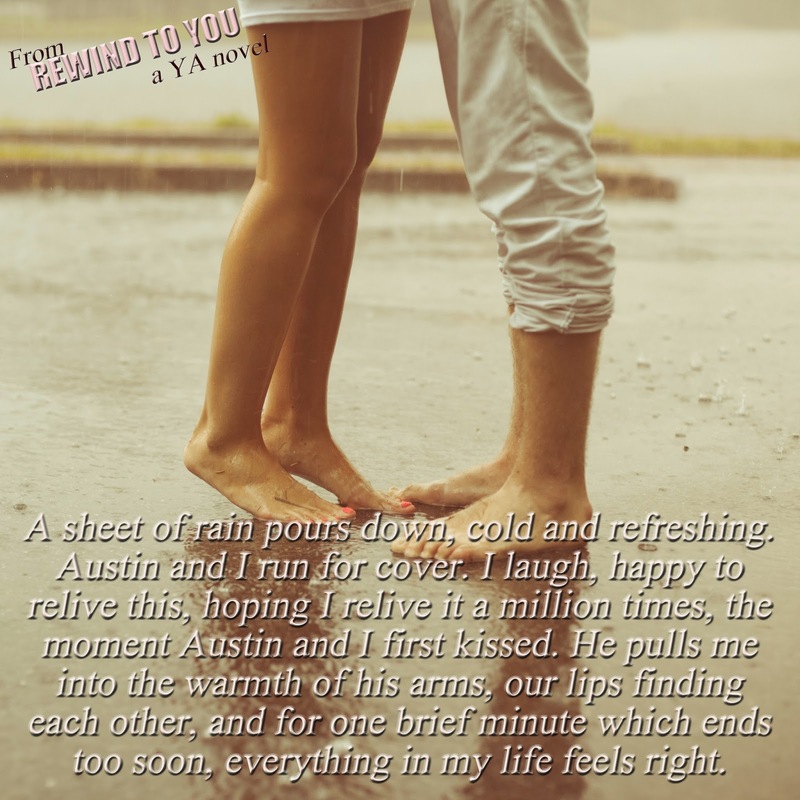 REWIND TO YOU, her debut novel, was inspired by the loss of her father as a teenager. Winning Entry will be verified prior to prize being awarded. The winner, chosen by Rafflecopter, will be announced here on April 29th as well as emailed. The winner will have 5 days to respond at which point a new winner will be chosen. The number of eligible entries received determines the odds of winning. No one in the town of Bonnyripple ever kept a grudge. No one, that is, except old Cornelius, the Grudge Keeper. Ruffled feathers, petty snits, minor tiffs and major huffs, insults, umbrage, squabbles, dust-ups, and imbroglios-the Grudge Keeper received them all, large and small, tucking each one carefully away in his ramshackle cottage. When a fierce wind blows through Bonnyripple, the residents are forced to rescue Cornelius and deal with their various disputes. Old Cornelius, the Grudge Keeper, holds onto the grudges of everyone in his town of Bonnyripple. Every toe that gets stepped on, prizewinning flowers destroyed, and misbehaving students all add to the growing collection that Cornelius houses at his home. But when a storm blows through and changes everything, can the townfolk find the will and means to let go of their grudges or will it all start again? 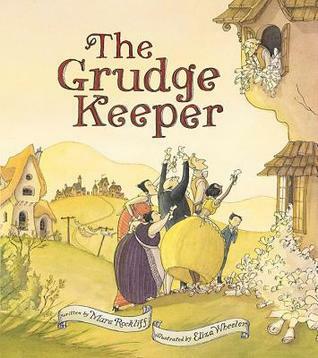 I love the premise of this book, that one person keeps the grudges of others, but that those grudges fill up his house. That's a big burden for anyone to carry. The message here is clear: letting go of grudges makes everyone happier. But it's presented in such a creative and fun way that it doesn't feel didactic at all. A must read for all ages! Reviewed from digital ARC provided by publisher through NetGalley. Turning the worn pages of her spell book, Rose can't believe how much her life has changed. Once a poor orphan, she is now an apprentice to the king's chief magician. But when the country's beloved princess vanishes, everything changes. As rumors of dark magic fly through the city, the king asks Rose for help. She must find the missing princess, before all is lost. Rose's magical abilities have been discovered by her master as well as the rest of the household. And while her master and her fellow apprentice, Freddie, accept her and her abilities, the other servants now fear her and one of the maids even torments her. While Rose debates whether to stay or go, winter strikes with a vengeance and an attempt is made to kidnap one of the princesses. Combining these events with Miss Swallow's attempts to use child blood to achieve eternal life, there is a growing prejudice against those that practice magic. When Rose is asked to help protect the princess she finds herself smack dab in the middle of the growing tension. And the disappearance of the princess complicates things further. A delightful continuation of a wonderful British series that combines adventure and magic with history. Sure to be a child-pleaser, I can heartily recommend it. The book is not only a quick and exciting read but the characters are sure to be enjoyed. Rose is a feisty young lady who refuses to take her mistreatment lying down, but she still struggles with uncertainty about her magical abilities and where they might take her. But as the possibilities start to percolate in her brain, the growing fear and hatred of magicians makes her wonder where she really belongs. Her experiences at the palace also add to her confusion. I think that a lot of young fantasy readers will thoroughly enjoy this new series. 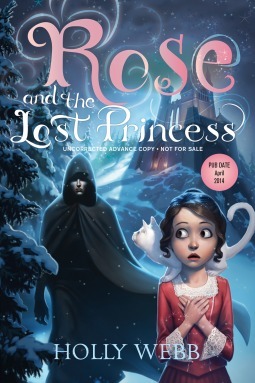 Thanks to the publisher I have one print copy of Rose and the Lost Princess to give away.